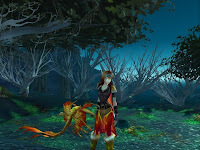 "I think the (new MMO) is going to be significantly differentiated enough. Such that, you’re not going to feel like they’re one and the same resulting in that you have to pick or choose." "If the bad thing that happens to us is that they leave WoW and go to this other thing of Blizzard’s, then we’ll work through that pain."